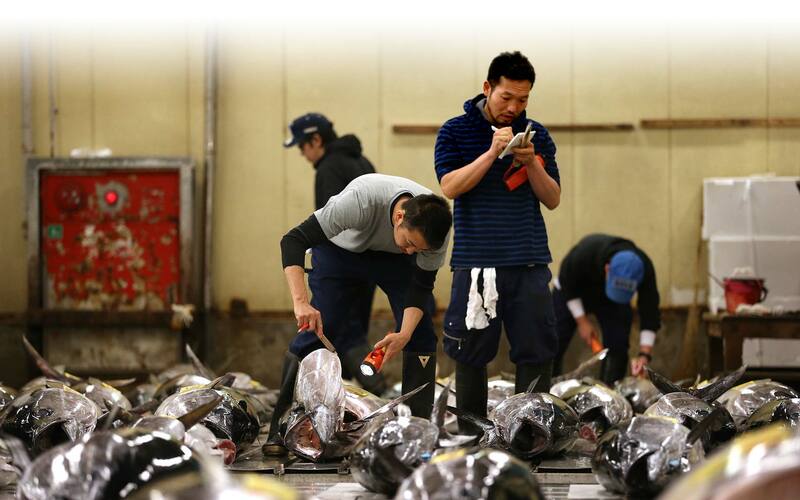 Tsukiji Market has two different areas: the outside market and the inside market. The outside market is open for public but you can also look round the inside market. 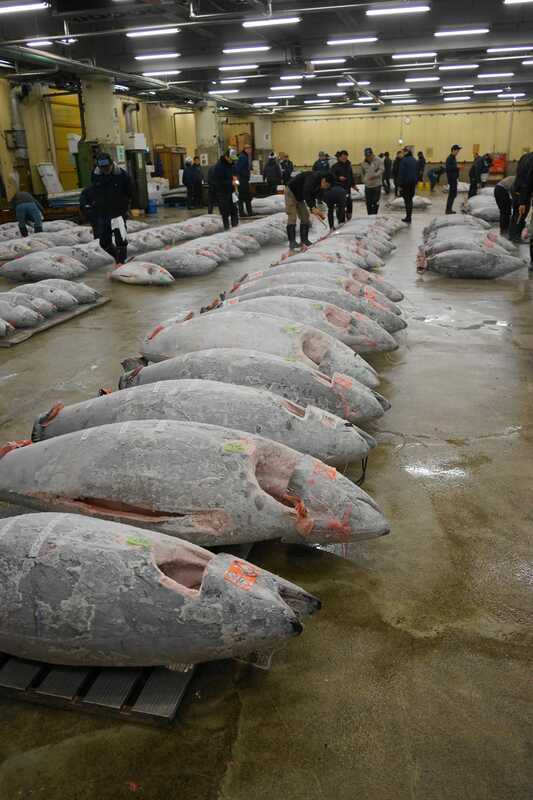 What you can see in the inside market would be, famous auction trade of tuna fish. Let me tell you about how to observe wholesaler’s auction trade of tuna fish. It’s the best way to learn about the traditional culture cuisine of Japan. Please do check them out. 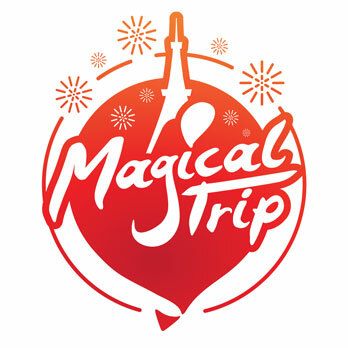 Most of the audience of auctions would be tourist from abroad because this unique and authentic experience would attract them. If you want to observe the auction, you need to go the ground floor reception of “Osakana Fukkyu Center” it’s about 5 min walk away from the main market site. They take reservation from 5 am in the morning. Only first 120 people would get tickets. Sometime, they would be all gone by the early morning. So I would recommend you to get there before 5 am. The tickets are free. However, you need to know few rules to observe the auction. You are observing the real trading, therefore, you shall do so with great manner and etiquettes for workers. There is English brochuer about the market, so if you are not sure about rules please do ask about it at the reception and take a look. The read trading comes with great energy. This is the one of the reason they are famous for. Before the auction begins, all bidders look around for products. Then the auctioneer rings a bell to start the auction. Some of auctioneers would be the sellers themselves. When the bell rings, all the bidders gather around their products they want. When all the bidders are around, they start the bidding. When biddings start, you would hear people’s voices go around the site. They use their unique language and they speak so fast to bid so even Japanese people would have difficulty understanding what they are talking about. The biddings are done in few second so you would be amazed by the speed. 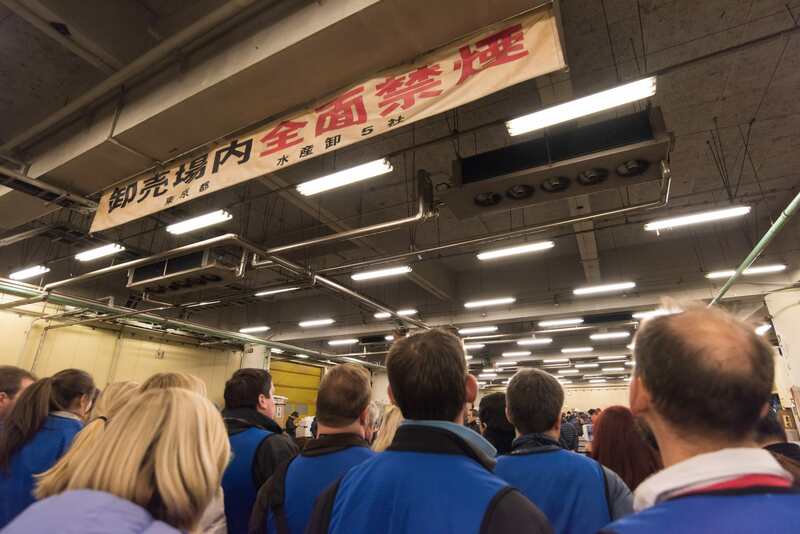 This iconic auction style is only happening in Tsukiji Market, so you would not see in any other markets in Japan. That is why you need to visit this market! It’s an observation of a very early start auction. No advanced booking necessary. Its free.